indicative of the operating results to be expected for the full year. various disclosures elsewhere in this Form 10-QSB. attributable to higher accounting and legal expenses. was attributable to higher accounting and legal expenses. $2,118 consisted of cash or cash equivalents. sufficient financial resources to meet its obligations. 2002 and does not expect to purchase or sell any plant or significant equipment. The Company does not expect to hire any additional full-time employees in 2002. Exhibits which are listed on the Exhibit index. dated as of July 1, 2002.
its behalf by the undersigned thereunto duly authorized. 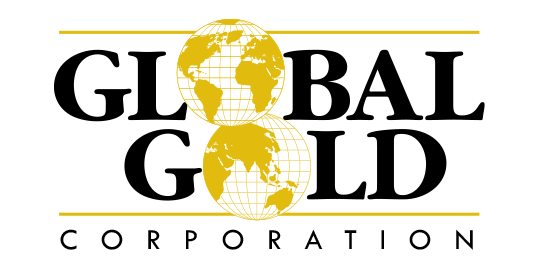 Gold Corporation, a Delaware corporation (the "Corporation"), and Drury J.
supervising and participating in the day-to-day activities of the Corporation. or (c) sooner terminated as otherwise provided herein. such action would be in the best interests of the Corporation. the Corporation shall exceed 50% of his then base compensation for such year. Any bonus payment shall be subject to all applicable tax withholdings. ratio of the number of hours worked during such 12 month period to 800 hours. series of events constituting such change in control. by the Board of Directors of the Corporation. executive performance and compensation under such plans. 8(e) hereof) by (y) 52. Employee from other employment or other sources. payable by the Corporation under this Section 8(c). be the life insurance benefits provided to the Employee, if any. rights and remedies available to the Corporation at law or in equity. waiver of any subsequent breach or condition of a like or different nature. assigned except with the written consent of all parties hereto. the scope or intent of this Agreement or any provision hereof. in a writing signed by all of the parties hereto. of the signers had signed a single signature page. Gold Corporation, a Delaware corporation (the "Corporation"), and Robert A. 06883 (the "Employee") (the "Agreement"). from time to time by the Board of Directors of the Corporation. best interests of the Corporation. time of each such payment. Lords Highway East, Weston, Connecticut 06883, facsimile number (203) 222-9037. Road, Manhasset, New York 11030 (the "Holder"). reference and made part of this Agreement. incentive for increased efforts during such service. (ii) 75,000 shares on June 30, 2004. Such installments shall be cumulative. employ or service thereof from the date of this grant. any applicable state securities law. (the  "Exchange  Act")  or  persons  acting  in  concert  (other  than  Drury J.
total disability, but in either case, not later than the Expiration Date. been received by, the Company as provided in Section 5.
and it shall thereupon become null and void. estate, as the case may be. provisions of Sections 422 and 424 of the Code. right pursuant to this Agreement. certificates by number and amount]]. person or mailed to the undersigned at the address shown below. Highway East, Weston, Connecticut 06883 (the "Holder").